Darrin Wright is a native of Los Angeles, California where he started tap dancing at the age of six. His early trainings were taking tap classes which lead into jazz with Ian Gary; learning about choreography and performing in high school with Janet Roston; taking post-modern dance with Rudy Perez. In 1997, Darrin joined The Bella Lewitzky Dance Company as part of its farewell tour. 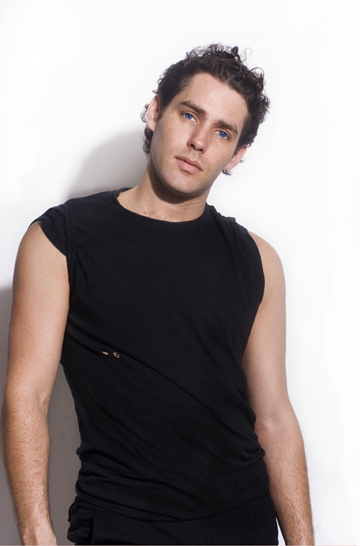 He received his BFA in dance from the University of Illinois, Urbana-Champaign in 2002. Since graduation, Darrin has had the pleasure of working with Jane Comfort, Susan Marshall, Terry Creach, Bill Young/Colleen Thomas, Yanira Castro, Jack Ferver, Tami Stronach, Amber Sloan, Nancy Bannon, Linsey Bostwick, Nina Winthrop, Linsday and Jason Dietz Marchant. Darrin teaches master classes in technique, composition and improvisation throughout the country. Jane Comfort and Co, thanks for all the great memories. Currently Darrin lives in Brooklyn, New York.